Fresh evidence shows that Shivinder was not only directing crucial decisions in the group, but was also drawing salary from two group companies. Singh brothers Malvinder and Shivinder are on the verge of being thrown behind bars on April 11 when the Supreme Court hears contempt proceedings against the two in the $500 million order given in favour of Japanese pharma maker Daiichi Sankyo. In the run-up to the proceedings, Shivinder's affidavit before the Supreme Court claimed that he had been on a 22-month Sanyaas - a sabbatical devoted to serving at the Radha Soami Satsang Beas - starting January 1, 2016. Hence, the contempt proceedings should not be applied to him as he was not in control of the affairs of the group. "...Deponent is not and at all material times was not in control of the entities against whom any contempt is alleged," he said in his affidavit. However, fresh evidence available with BusinessToday.In suggests that Shivinder had never dissociated from the group. Instead, he was not only keeping abreast of and directing crucial decisions in the group but was also drawing salary from two group companies. In his affidavit before the court, Shivinder says: "Shortly after turning 40, the Deponent retired from corporate life in September 2015 and shifted to a spiritual ashram to devote his time and energy to full time charitable service. After announcing his retirement, the Deponent resigned from all executive positions and voluntarily asked to be removed from all committees of Fortis. In fact, the Deponent's position was changed from Executive Vice-Chairman of Fortis to Non-Executive Vice Chairman with effect from 01.01.2016. Thus, the deponent did not have any decision-making capacity at Fortis also post retirement." The affidavit adds: "The Deponent was compelled to come out of retirement by late 2017, in light of the complete disarray that the group had fallen into by late 2017 and on account of the constant asks of help to save the group by Mr Malvinder Mohan Singh". However, documents in possession of BusinessToday.In suggest that in the period January 1, 2016 to September, 2017 when he said he was not involved with the affairs of the group as he claimed to be in 'full time charitable service', he was in fact drawing a salary from group firms ANR Securities & Ranchem. 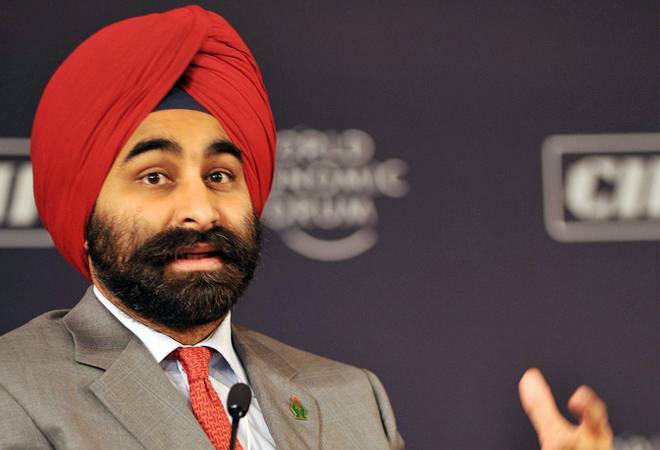 Shivinder's Form 16 submitted to the Income Tax Department suggests that he drew a gross salary of Rs 21.75 lakh per month each from the two subsidiaries of RHC Holding - the group holding firm. Together, the two firms paid him Rs 9.12 crore in the period January, 2016 - September, 2017 as gross salary and Rs 5.9 crore as net post-tax salary during the period of 'retirement'. Besides, multiple documents suggest that, far from retirement, Shivinder was deeply involved in the group's affairs, directing deals, advising board meetings and schedules and often intervening in discussions, even leading them at times. For instance, in an email dated 13 December, 2016, when he was supposed to be in 'retirement', Shivinder suggests timelines of board meetings: "Please find below my comments on the board calendar (for REL, FHL & SRL): 2017 Feb: REL, FHL & SRL Board meetings need to be done prior to (& including) 4th of Feb; March: Budget Meetings of the 3 companies to be done before March 16th or after the 4th of April; May Annual/Quarterly BOD's to be finished before 18th of May. Please don't schedule between 4-9th of May..."
In response to mail trail titled 'Term Sheet for RCML International (ex Sri Lanka)' dated 30 January, 2017, he's being informed that the counsel had advised signing term sheet for sale of RCM International. Shivinder replies: "yes, good to close. Depending on where this capital come in - do consider the option we spoke off - whether we can split this as 2+2 and transfer some of this. We can perhaps discuss this on whatsapp for more detail..."
In another email dated September 5, 2016 and titled 'Alarming Position-RCML Cash', the sender group CFO Anil Saxena writes, "RCML will not be able to pay its statutory liabilities this month". To this, Shivinder responds: "Send it to Sunny (Sunil Godhwani) and ask him resolve RCML operating issue... Or put it on our group".